Here is the availability of AP DEECET Counseling Process. In the official site Deecetap.cgg.gov.in. candidates can have information about Counselling Schedule, Rank cards, Certificate verification Dates, Fee details for Counselling and etc. details. Interested candidates who have attended for AP DEECET exam and got shortlisted can go through the AP DIETCET 2019 Counselling Schedule. And they can get all the details about Counselling centers, Counselling venue addresses, Certificates required to carry and submit, keeping web options list of interested colleges to join etc. 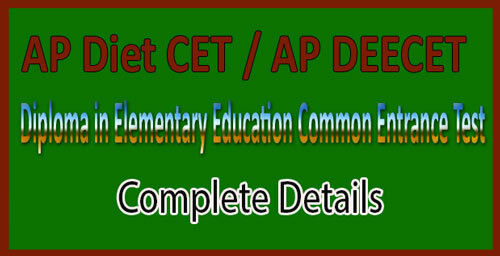 Candidates can have all the above details about AP DEECET from here and as well as from the official site. Exam attended Candidates can have details of the total Counselling process, Counselling dates, List of Documents to submit and etc. details below. 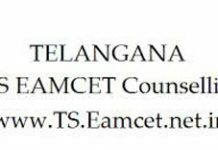 Aspirants who only passed and qualified the AP DEECET 2019 exam can attend the counseling. Candidates can choose their desired college in this counseling process. 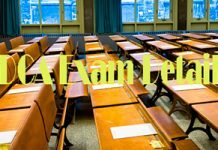 Candidates who score minimum qualified marks and as well as good marks in AP DEECET 2019 can have seats in the top D.Ed. Colleges. There is an allotment of seats in that top colleges. 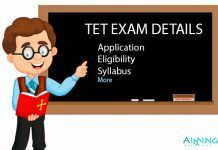 After the post verification of results of AP DEECET 2019 the qualified candidates who want to join the colleges which offer D.Ed. course have to go to the Counselling at mentioned venue. There is a verification of certificates of the counseling. Post counseling all the eligible candidates will get admissions in colleges. For D.Ed. the course of 2 yearlong in the academic year of 2019-2021. This is first schedule process in counseling. If any candidate did not get an allotment in any of the colleges those candidates can come for the second schedule of counseling. Through the payment gateway initially, eligible candidates have to pay the counseling fee. In the given schedule candidates need to mention the web options with their choice of colleges. There will be a release of Allotment or we can say admission order download that. Candidates have to attend the verification of certificates at Govt. DIET Colleges. Candidates need to pay some tuition fee. Candidates have to report to college where their seat is allotted with required certificates finally. Bonafide Certificate (from 3rd Class to Intermediate 2nd year).